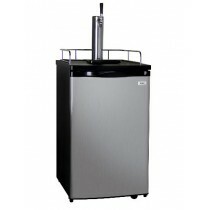 Thank you for visiting our site and showing interest in buying kegerator from us! You will find answers to many of your questions here. For other questions, please contact us anytime. What type of kegerators do you sell? 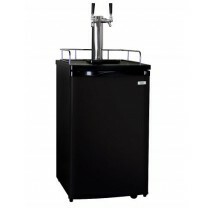 We sell standalone kegerator units that can be used to dispense beer, wine, coffee, kombucha in your office. Do you sell under-counter / built-in kegerators? We do not sell under-counter / built-in kegerators. You can easily find these kegerators on other websites for delivery. Your general contractor can easily install them for you. We can connect the draft system inside the kegerator once it is installed. Yes, we offer kegerator installation for single tap to multiple tap units. Our expert technicians will assemble the unit at your home or office and get it ready to start pouring beer, cold brew cofee or other beverages, simply add the kegs! We also sell industry standard accessories such as couplers, regulators & hoses, in case any replacements are needed in the future at a short notice. How long will it take to deliver and connect the kegerator once it is ordered?